Trek meets tech. 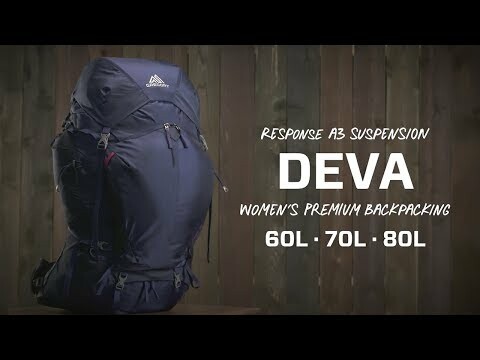 With a huge payload of 70L and an adjustable suspension system engineered for women, the Deva has it for multi-day trips. The shoulder harness and hipbelt adjust independently for a custom fit, so you can tune them when trekking for days on end. To keep phones or GPS devices fully charged, it incorporates an integrated solar panel and compact battery system (3 hours of sunlight will fully charge a smartphone). On top of the comfort and tech, expect a host of other smart details: a hydration sleeve that doubles as a removable daypack, waterproof hipbelt pockets, and a dedicated sleeping bag compartment. Built in Goal Zero Nomad 7 Plus solar panel and Goal Zero Flip 10 portable battery in flip-down top pocket.